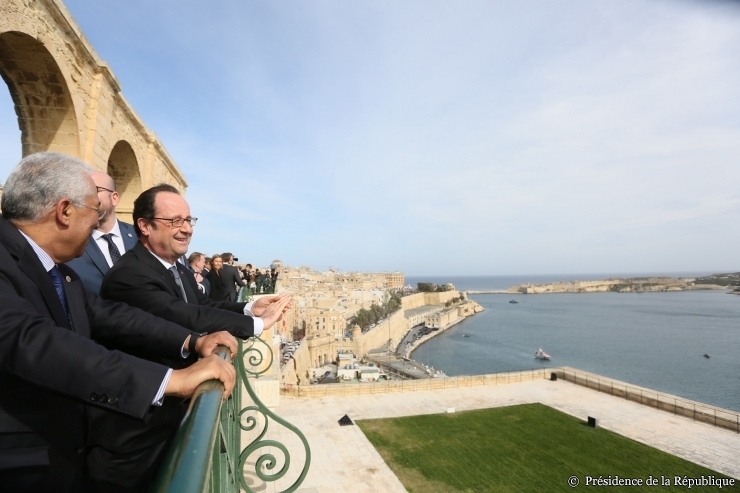 The French President was in Malta on Friday, February 3rd. 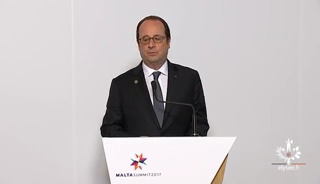 He took part in the informal Summit of the European Union, currently chaired by Malta. 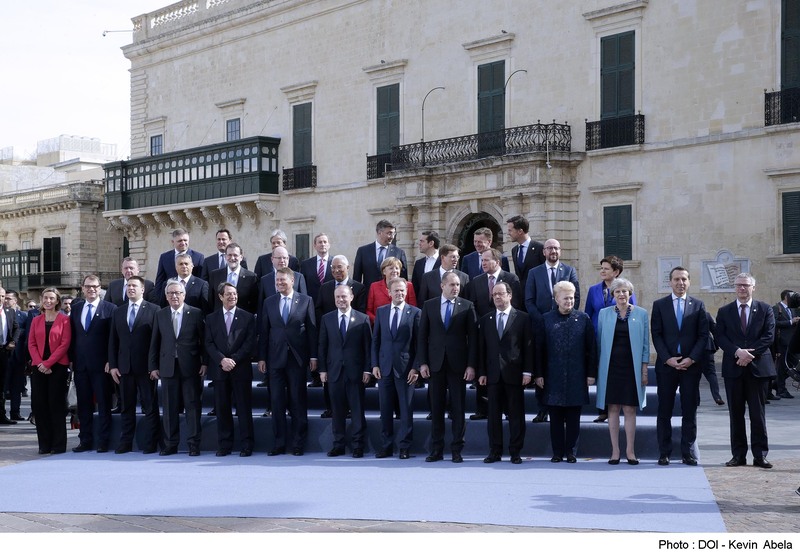 Two main points were on the agenda : the migration issue in the central Mediterranean has been discussed during the first working session, gathering the 28 members. A joint declaration has been adopted. The second working session, with 27 members, focused on the future of the European Union and the preparation of the celebration of the 60th anniversary of the Treaty of Rome, which will take place in the Italian capital city on March 25. The President held a press conference. Along the Summit, H.E. 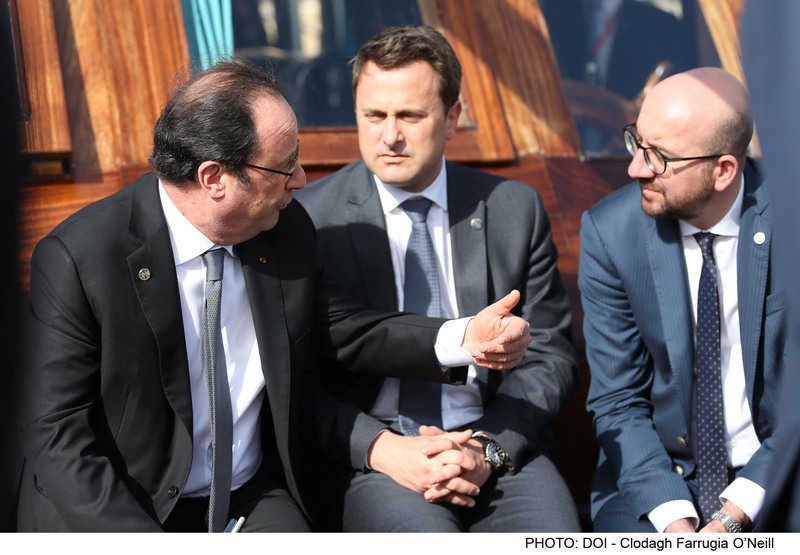 Ms Béatrice Le Fraper du Hellen accompanied the French President in a walk around Valletta. The President saw the room of the Parisio Palace in which General Bonaparte is said to have slept during his stay on the island. 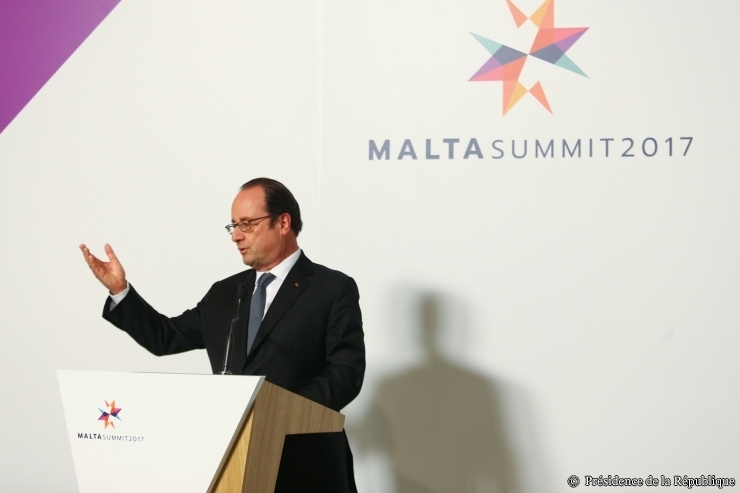 Today, the room is the office of Malta’s Minister of Foreign Affairs.